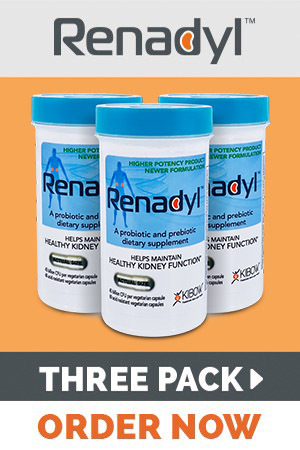 The probiotics in Renadyl™ is uniquely formulated to help patients feel better. Their unique characteristics spur activity within the colon that specifically benefits people with kidney problems. Not all probiotics are alike. There are many types of these helpful bacteria (called strains) found in your digestive system, and some strains have been found to provide specific health benefits, such as improving digestive health, strengthening immune response, and controlling constipation. 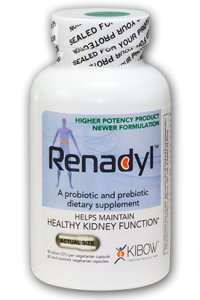 Renadyl™ contains 3 probiotic strains: Streptococcus thermophilus (KB19), Lactobacillus acidophilus (KB27), and Bifidobacterium longum (KB31). 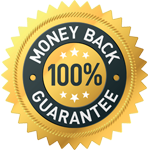 Each probiotic strain has been carefully screened and selected to target and break down specific toxins when introduced into the colon. These toxins are the same as those that build up due to kidney dysfunction. 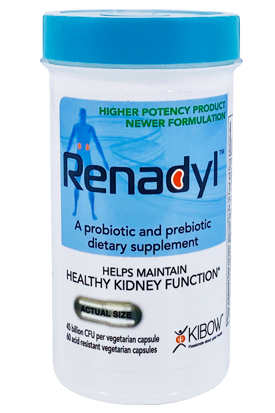 Additionally, unlike other probiotics, the 3 bacterial strains found in each serving of Renadyl™ have been scientifically evaluated and are found in high concentrations (45 billion colony-forming units). This ensures the colon receives a frequent supply of each probiotic so that the probiotics can go to work as soon as possible to help promote kidney health. 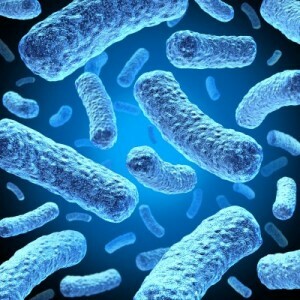 Because probiotics are live organisms, they require protection to ensure they are alive when they reach the colon. That’s because the stomach acids that break down food and ordinary pills can do the same to the probiotics before they reach their destination. Renadyl™ doesn’t have this problem. Its special coating is designed to protect the probiotics contained within the capsule as they move through the stomach. As a result, the probiotics are released intact once they enter the colon, where they’re needed.